In the following article, Stuart Johnson from the JD Edwards Solutions Advisory team at Version 1, shares the five most popular JD Edwards modernisation and digitisation trends that have been emerging from Version 1 enterprise customers across the UK and Ireland for 2018. Oracle JD Edwards was recently named a Leader in the Gartner Frontrunners Quadrant for Top ERP Software 2018. JD Edwards came out on top alongside significant competition in the Gartner Frontrunners Quadrant, but why is this long-established ERP software on the rise currently? JD Edwards has been advancing in the ranks of ERP software recently, mainly because of the overall investment made by Oracle in the research and development of ERP Software in recent years; specifically around software such as JD Edwards, E-Business Suite and Oracle ERP Cloud. We believe that a broader use of ERP through cloud computing, a new user experience, and the availability of new digital technologies has impacted JD Edwards modernisation very positively. These advancements have taken JD Edwards specifically from being more of a tool of the ‘back-office’ power user to becoming a platform that supports a fabric of digital interaction among employees, the value chain, all ‘resources’, as well as the products or services that a company delivers. A concern that our customers report very frequently is that they have already made such a large investment in their core ERP system so they want to know whether they can benefit from innovation and modernisation while maximising on that core investment. Lyle Ekdahl, the Senior Vice President Oracle Applications Development discussed the ‘JD Edwards Investments that will Transform your Business.’ There were three imperatives listed at this event for customers seeking to be in a position to get more out of their core ERP platform investment and to continuously innovate. 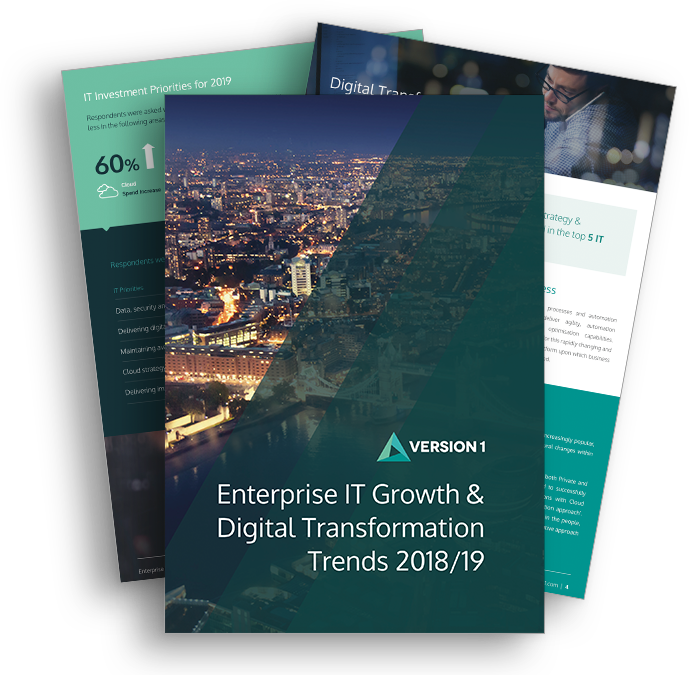 Their ‘imperatives’ were to upgrade to 9.2, to embark on the Cloud journey and to adopt the Continuous Delivery Model which is something that Version 1 customers are currently beginning to embrace in recognition of the benefits that can be gained while utilising their core ERP investment. JD Edwards customers who have made the decision to upgrade in order to access more automated features from Oracle are currently experiencing a significant change in day-to-day activities. Removing manual steps and paper from business processes is the heart of automation. Customers want to leverage the information captured within the ERP for better decision support and exception-based processing. The fewer core business processes and manual efforts that companies have to undertake, the more time they gain for strategic activities in the absence of manual efforts. Customers can face a variety of challenges when it comes to relying on ERP software to perform tasks on the go. One specific challenge we meet with customers across the UK and Ireland is production, manufacturing and agricultural customers experiencing difficulties performing ‘online’ tasks in remote or rural areas. Disconnected offline/online capabilities of mobile applications integrated with your JD Edwards EnterpriseOne system offers users the ability to capture transactional data whilst off the grid, and process when connected again without the need to access to ERP to carry out job tasks. Analytics tools and applications, including big data. Mobile tools and applications that are available to support most of the roles within our customers’ organisations. Machine to machine communications for sending and receiving from connected devices plus orchestrations to trigger JD Edwards business logic, making the data real-time data, continuous, and accurate. Social collaboration tools and applications that Version 1 announced for EnterpriseOne. The pace of innovation has already accelerated the capabilities of our customers’ core ERP platforms and we see this accelerating even further in the coming months. There will be innovation in Cloud, UX, Digital Technologies, all contributing to greater and more strategic outcomes for ERP customers. Automated Warehouse Management Systems make inventory management a fast and easy task by providing real-time information. They also enable companies to provide their customers with exceptional service and increase productivity by using real-time data at different stages of the supply chain to allow warehouse operators to complete more tasks in less time. Other such solutions that increase efficiency and provide companies with real-time information would be logistics integration solutions. One of our manufacturing customers sought an effective transportation management system earlier this year, with the ability to track goods while in transit, thus enabling the organisation to significantly reduce costs. In order to support the customer in realising this business objective, Version 1 supported the technology integration between their core ERP platform and the third party logistics carrier. The transportation management technology implemented by Version 1 is now a key element of the supply chain process that steers the transfer of our customer’s goods across the UK. As the go-to partner for JD Edwards, Oracle ERP Cloud, and Oracle E-Business Suite, Version 1 has supported organisations for over 20 years in utilising core ERP systems to streamline processes, to not only change the way organisations are run but also how efficiently they run. #1 Oracle Partner As Voted By Our Customers. Version 1 was recognised with a record-breaking eight awards at the annual UK Oracle User Group Partner of the Year Awards 2017/2018 with seven Gold awards and one Silver, including the top four prestigious ERP Gold Awards.